Have you ever thought of how a Game of Thrones musical would be like? Well, thanks to Coldplay you don’t have to wonder anymore. A GoT musical was penned by Chris Martin and his other bandmates in support of the Red Nose Day celebrated by NBC. This is basically a campaign that’s dedicated to raising money for young people and children who are living in poverty. The musical sketch had been teased by the network, which will have two clips and will be aired on Thursday. The first feature includes Peter Dinklage, who plays the role of Tyrion Lannister on the iconic series, and sings about all the deaths that have occurred so far on the popular HBO series. There is also a more Coldplay-esque and mellow tempo in the second clip, which features Nikolaj Coster-Waldau. He plays Jaime Lannister on the series and his clip includes him asking Cersei for a hand, which is funny because Jaime lacks a hand. The collaboration between the HBO show and Coldplay doesn’t come off as a huge surprise because fans will remember that Will Champion, the drummer of the band made a cameo appearance in the episode of the Red Wedding. 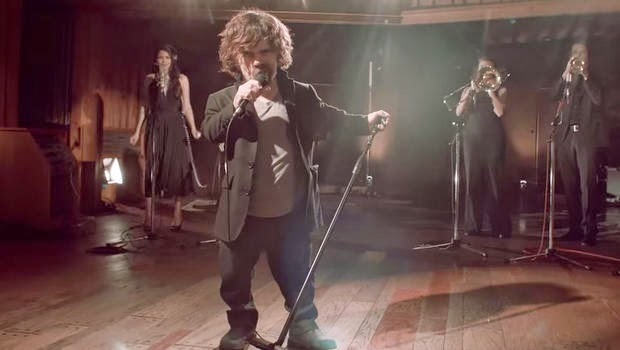 Now perhaps, maybe Jorah and Tyrion will sing some popular Westerosi tunes in the next couple of episodes.